A referendum is being held in Macedonia on Sunday to determine whether the small Balkan country can proceed with the name deal it struck with Greece in June; its hopes for EU and NATO accession are heavily dependent on the outcome. Macedonia and Greece have been wrangling over the right to the name “Macedonia” ever since the former became an independent state in 1991. Greece recognises its northern neighbour officially as the Former Yugoslav Republic of Macedonia, a provisional name also used by international and regional bodies like the UN and the EU. At the name dispute’s core lie thorny issues pertaining to both territory and cultural heritage. Macedonia is a geographic region shared between the country of Macedonia, Greece, and Bulgaria and is the birthplace of such historical figures as Alexander the Great. According to the deal struck last June between Skopje and Athens, known as the Prespa Agreement, Macedonia will change its name to North Macedonia and amend its constitution in order to remove several clauses considered by Athens to contain elements of irredentism. The hardline Greek position on the name issue is that Greece’s neighbour has no right to be called Macedonia because this threatens the integrity of Greece’s northern region, which carries the same name, and disputes the Hellenic identity of the ancient kingdom of Macedon. The more moderate view, upheld by the Greek political establishment since 2008, is that a qualifier should be used before the word Macedonia in order to distinguish the country from the Greek region. Until recently the Macedonian side had refused to compromise with Greece. 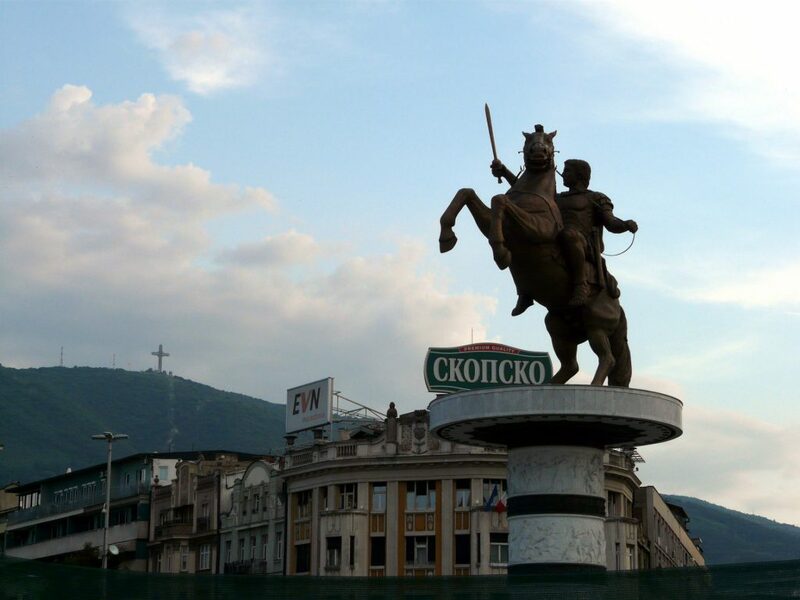 Skopje’s position was that the country’s right to self-determination was irrefutable and no neighbouring state could force Macedonia to change its name. 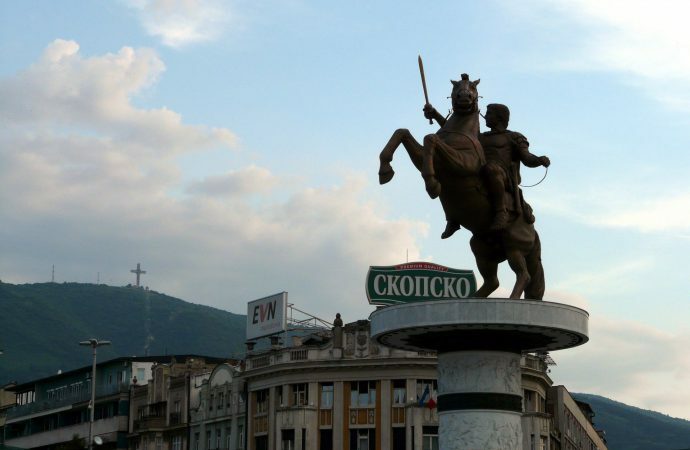 Under Nikola Gruevski, prime minister from 2006–2016, Macedonia further complicated its relationship with Greece by erecting statues of Alexander the Great and replicas of monuments from antiquity across Skopje and other cities, a move interpreted by Athens as an appropriation of Greek cultural heritage. Despite the provocation, hope for rapprochement between the two sides emerged when Zoran Zaev succeeded in forming a coalition government with an Albanian minority party in May 2017 and sent Nikola Gruevski’s nationalist VMRO-DPME party into opposition. Zaev presented himself as a moderate and a unifier, determined to end the decades-long name dispute with Greece and bring Macedonia into a new era of prosperity. UN-sponsored negotiations between Skopje and Athens resumed in January 2018 and within six months, foreign ministers Nikola Dimitrov and Nikos Kotzias announced a deal had been reached. 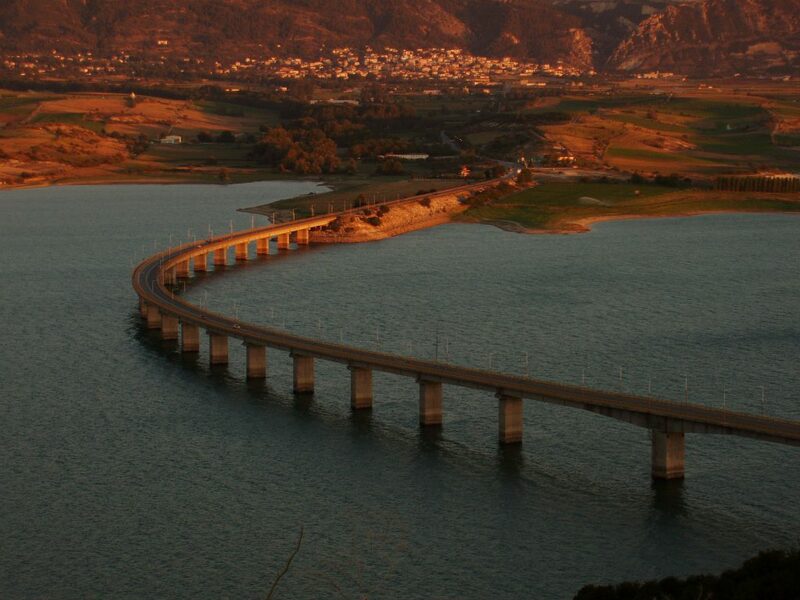 Other than the name, Prespa also settles the sensitive issue of nationality and language. Passports and other official documents will state the holder’s nationality as Macedonian/Citizen of North Macedonia, while the national language will remain known as Macedonian. Regarding the country’s name, it is worth noting that its use will be erga omnes — that is, valid both within and outside Macedonia. In the end, Athens traded the Macedonians retaining their identity and language in exchange for Skopje adopting the name change both internally and externally. Aside from beginning a new relationship with its southern neighbour, Macedonia has something else to gain from Prespa: changing its name to North Macedonia will allow the country to finally join NATO and begin accession talks with the EU. The US wholly supports the name deal, as Macedonia entering the transatlantic alliance will reinforce Washington’s presence in the Balkans and deliver a significant blow to Moscow, which desires greater influence with the region’s Slavic-majority, Orthodox Christian states. For Europeans, Macedonia’s accession is likely to create economic opportunities for the EU’s more powerful members, particularly Germany (Macedonia’s number one trade partner), which unlike France openly supports Macedonia’s bid for membership. Sunday’s plebiscite effectively determines whether Macedonia can take the next step in redefining itself as a European country within the Balkans firmly allied with the West and enjoying good relations with Greece. Despite the strong Yes campaign led by Zoran Zaev, bolstered these last few weeks by visits from various Western leaders and officials, the upcoming referendum could go either way. The ideal situation for Zoran Zaev — and for that matter, Alexis Tsipras — is that the Yes camp wins more than 50% of the vote and that voter participation also exceeds 50%. Given Macedonia’s large Albanian minority is overwhelmingly in favour of the deal and EU/NATO accession, Prime Minister Zaev has focused most of his efforts on persuading his Slavic-speaking compatriots to vote Yes by assuring them that Prespa guarantees their right to self-determination. Should everything go to plan, the next task will be to pass the constitutional amendments through the Macedonian parliament sometime in December in order for the Greek side to then finalise the process by ratifying the agreement in the Hellenic Parliament. 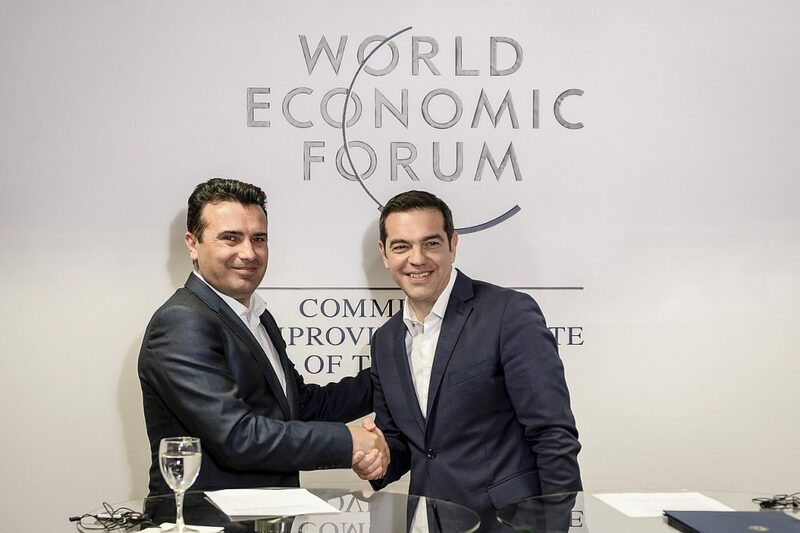 Although Zoran Zaev believes he has the numbers, the process may founder in Athens, where Tsipras is already facing pressure from the Greek populace and the opposition — not to mention his own coalition partner — to abandon Prespa. Indeed, Defence Minister and leader of the Independent Greeks Panos Kammenos has reiterated that his nationalist party will vote against the deal and end its coalition with Tsipras’s Syriza party should a vote be brought to the Greek parliament in January. This will undoubtedly trigger new elections in Greece and, if the polls of the last 12 months are any indication, return New Democracy to power. The centre-right establishment party, which Syriza lambastes constantly for its inability to solve the name issue while it was in power, has vowed to not honour Prespa, which it believes concedes too much to Skopje. Sunday could also deliver a No vote or a Yes result with less than 50% participation. If the referendum fails, Macedonia will have no choice but to go to new elections and it is unclear whether Zoran Zaev can retain power. What is certain is that even under its provisional name (FYROM), without Prespa, Macedonia has no chance of joining NATO and the EU. And as a result, as noted by UN mediator Matthew Nimetz, it would likely take another 25 years before another solution between Skopje and Athens can be reached.